Call The Natural Grants Pass Exterminator Today For A FREE Estimate! Pest Control Grants Pass: All Natural Pest Elimination serves Grants Pass and outlying areas, including Gold Beach, Gold Hill, Hugo, Applegate and Brookings to the west, Myrtle Beach and Roseburg to the north, Medford Ashland, and along the California border to the south. All Natural Pest Elimination offers free pest inspections! Unlike some other Grants Pass exterminators, our expert pest inspectors will give your property a full pest inspection at no charge. They say that in Grants Pass that “It’s the climate!” The warm summers and brisk winters each bring their own pest concerns. In the summertime, Grants Pass pest elimination needs are more geared towards ants, termites, spiders and other such insects. During the winter, most pest exterminators are focusing on mice and rat control in Grants Pass and the surrounding areas. The cold weather and constant moisture and rain in Southern Oregon forces rodents to seek warm, dry places to nest. 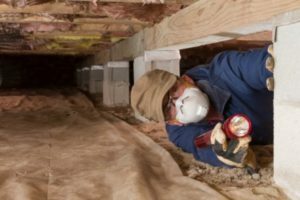 Our pest elimination experts will visit your home and give it a thorough inspection inside the hard to reach places such as the understructure and attic. These are some of the places rodents and insects like to set up shop. Many people never enter these parts of the home for long periods of time. This gives pests the opportunity to build their nests undisturbed. All Natural Pest Elimination offers the most comprehensive, safer pest control Grants Pass has available. Our pest elimination programs come with a full service warranty. So if the pests come back, so do we. When you need Grants Pass rat control, an ant exterminator in Grants Pass or just a free home inspection to put your mind at ease, just call All Natural Pest Elimination at 1-877-662-8449. 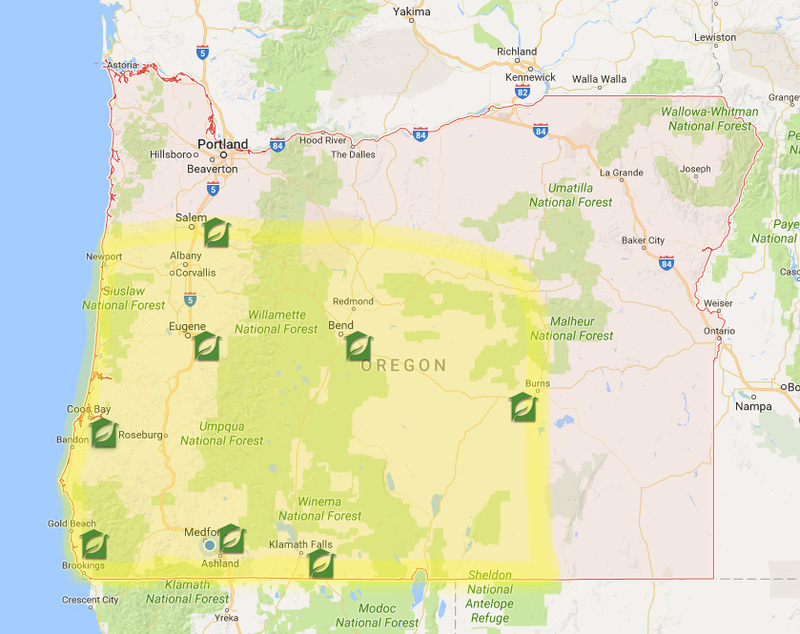 Our team of Grants Pass pest control technicians serves outlying areas including Gold Hill, Merlin, Applegate, Gold Beach and Brookings to the west, Myrtle Beach and Roseburg to the north, Medford Ashland, and along the California border to the south. If you are located within the areas indicated on the map below, chances are that we have a technician nearby and ready to provide you with a FREE inspection, typically within 24 to 48 hours of your call, depending on your schedule.